Today’s recipe is very versatile. I am making it to serve as a macaron filling for some raspberry macarons I’ve made to decorate my Grandma’s 80th Birthday cake for this evening but it could also be used sandwiched between two sponge cakes for a Victoria sponge, between biscuits to make monte carlos, or on toast. 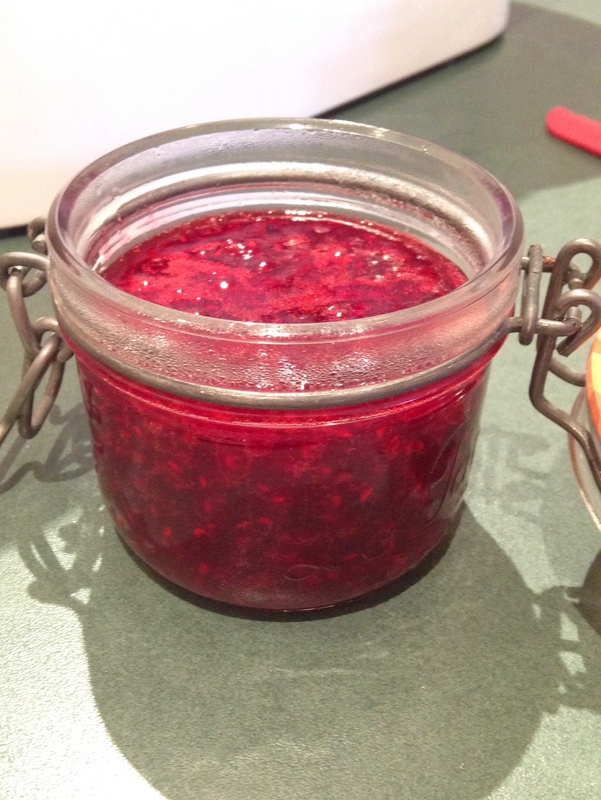 It is a vividly berry-coloured, clear looking jam (or jelly for those of you in the US), with an intense raspberry flavour and tang. I particularly like it as it’s not too sweet and it takes very little time and know-how to make. 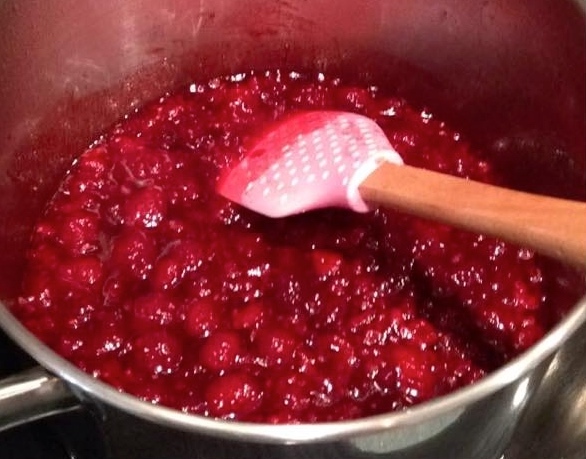 In a medium saucepan, dissolve the sugar in 100ml of water and bring to the boil. Once the syrup has been boiling for 2 mins, add the raspberries, lemon juice and jamsetta. Bring back to the boil, squashing the raspberries with a spatula while stirring, and let boil for 1-2 more minutes before removing from the heat and pouring into sterilised jars. Allow to cool for 15mins without the lids on the jars, then put the lids on and refrigerate for 2 hours, or until set.